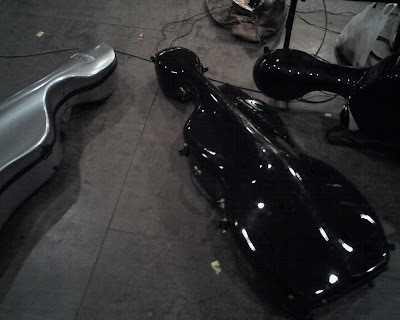 I had a session today for a film whose composer had the genius concept to score the whole movie…..with cellos and basses. 28 cellos! It was nice to hear the sound, of course, but it was also a great hang with some of the top players in LA that I am lucky enough to know. My thumb aches from the false harmonics, but it’s a small price to pay for a whole day in Cello Geek Heaven. I’m doing a music festival for the first time ever… sorta like music geek heaven… almost, anyway..